It has been a while since I have posted the much appreciated awards that were so graciously yet undeservingly bestowed upon me. Thank you all so much! All honor and glory goes to our Lord, Jesus Christ. 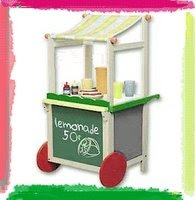 I am the proud recipient of the Lemonade Award! Thanks to my friends Beth NC and Karen at Homespun Simplicity . If you haven't already, go visit their blogs. The purpose of this award is to give it to someone who is showing gratitude or a good attitude ("if life hands you lemons, make lemonade") within their life or blog. 2) nominate at least 10 blogs that show great attitude and/or gratitude. 3) have your 10 pass it along to 10 more!I have so many sweet new friends on here, and I don't know the stories of many of you (yet), but I think each of us have been given a few lemons in life. 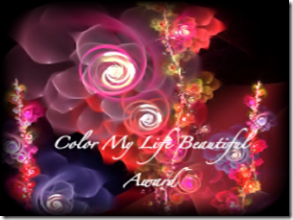 They make us strong, right?So dear friends, I have chosen 10 of you to receive this award. Enjoy! 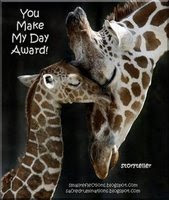 Make My Day Award - I would like to give this award to everyone who reads and comments on my blog posts. You have no idea how much your comments and prayers mean to me. Thank you! 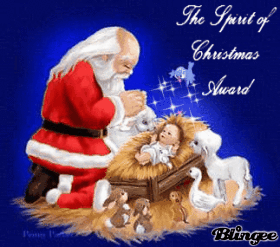 Thank you Denise The Spirit of Christmas Award - Everyone in our bloggy world had wonderful Christmas Spirit! Your blogs really lifted my Christmas Spirit. 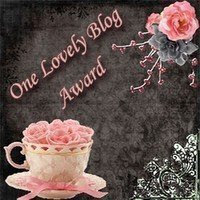 So this award is for all who have visited my blog and made comments. Thank You. Thank you so much to Hon for this great award. To everyone! I really enjoy everyones blog! You are all so encouraging! Wow...you got so many awards and I am so honored that you would pass some of them on to me. Congrats to you! Now that was one award post! Thank you Michele for honoring me with an award. I'm humbled you thought of me and our family blog! Congrats, and thank you sweetie. I love you. Thank you so much my dear sister!! You are truly an inspiration to me and I love the praying that goes on here on your blog!!! Keep writing for his glory and may his hands of healing continue to be upon as you do his will. Congrats on the many awards you have received, Michele! You surely deserve them :) Thank you very much for sharing some of them with me. I am greatly humbled and honored. Thanks for all your prayers and encouragements. May God bless you always! Congrats Michele, very nice awards, you deserve them. Your 'purple' (regal...just regal) is showing, my friend. A great many awards for a beautiful lady! You bless me so everytime I'm here. I'm truly humbled for those that you passed on to me. God's richest blessings to you today. Sending a great big ((hug)) to you from Florida. Goodness girl.....you sure have been saving them up! Congrats on all your awards...those little things sure do lift our hearts at time! Thanks for passing them on....what a sweet blessing. Have a great week and I will be back to catch up.....life has been very busy. Thank you Michele... You are a blessing! I am grateful and honored. Thank you for thinking of and mentioning me...we are all blessed in this bloggy community and the love abounds! Thank you for thinking of me with these awards! I need to do an award post I guess, I got another one last week I haven't posted yet! This is one hot bloggy! And, thank you so much for thinking of me to share this one award with. I feel very undeserving. Back around Thanksgiving, my Mom and me went to visit some family and to attend her step-brother's funeral. I hadn't seen my one aunt for 8 years when she came down to my Dad's funeral. She had lung cancer I think she said 16 years ago. She is now on oxygen full time. She was telling me that day about when she first began on the oxygen and she really struggled. But, she is very good at it now. Maybe this will give you guys some peace regarding your Mom and Step-Dad. Thanks so much for the award, Michele! It means so much that you thought of me. Oh, my goodness. Look at all of your well deserved awards! Wow! Congratulations to you!!!! Thank you for sharing the blessing with me and for sharing in our journey of faith. Blessings to yoU!